Often called “the workhorse of the industry”, the Kluge EHD is already a legend. Featuring speeds up to 3,300 impressions per hour, the EHD now comes with delayed delivery allowing it to accommodate sheets up to 17″x 24.75″ (431mm x 628mm), with up to 40 square inches of die area. Kluge’s patented Delayed Dwell technology allows the EHD to start on impression sooner, bottom out, and remain on impression longer­ doubling impression time with no loss of production speed and assuring flawless foil separation from the stock. A new, optional, freestanding mobile electronics console puts all press operations in one place for easy access. The same console can also serve as a workstation and toolbox. 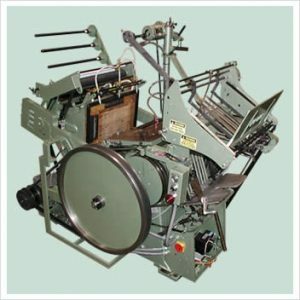 Rugged, dependable and simple to operate, the EHD is known for providing years of reliable service in foil stamping, embossing and die cutting, and for over 25 years has been the standard by which all presses in its class are measured. 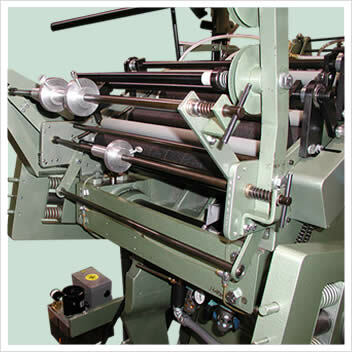 The press comes equipped with a three-draw mechanical foil control system (MFCS) as standard. 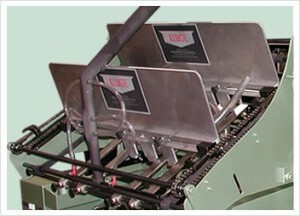 This configuration allows for a wide array of foil draw and coverage with highly accurate registration between images. 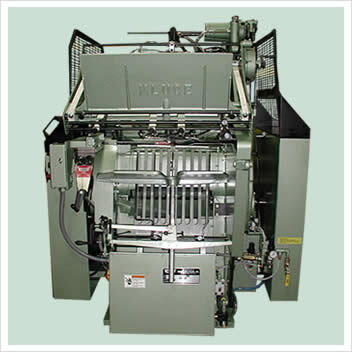 All Kluge foil control systems utilize an air blast system to assure the foil relay from stock between impression. An optional upgrade to the standard Kluge toggle base is available to facilitate easier and quicker make-readies. The lightweight model is laser-etched with a layout to match the corresponding grid on the platen, enabling quick and accurate die placement. 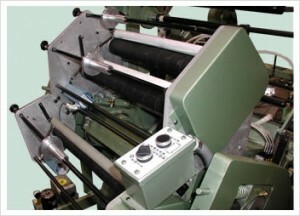 Weighing only 14lbs (regular weight 40lbs), operators also benefit from the lightweight model requiring less effort to mount the toggle base to the press. Since foil coverage is a function of pressure, heat and time, a longer dwell time at a higher dwell impression force will result in greater foil coverage and higher production speeds on many products. We have seen jobs produced that previously could not be produced and make-ready time greatly reduced on tough work. 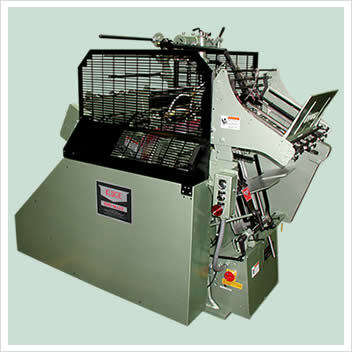 Faster and simpler conversion from solid arm operation to dwell arm operation saving valuable make-ready time and money. The previous design was time consuming and, in many cases, jobs that would have been produced more efficiently with the dwell arms were not. The simplicity of this design will increase the use of the dwell feature. The latest generation of dwell side arm is an immense improvement over the original design. 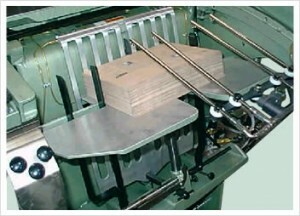 The solid arm operation achieves an impression from the physical interference, between the platen and the bed, during each cycle. The impression dwell, in both the old and new design, is accomplished by introducing heavy spring force in addition to the physical interference and extends the total time of impression at the magnitude of the spring force. The difference between the two designs is the means by which this is accomplished. 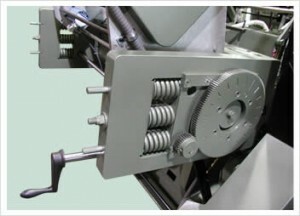 The original design required that the platen is raised and a spacer at the springs would be removed before the two springs could come into play and introduce dwell in each impression. One might say that the stroke had to be shifted to allow spring action. The new patented design, which includes three springs of greater force, simply compresses the springs for solid arm operation and relaxes the springs when dwell is desired. In this design, the stroke is not changed. Turning the dwell “Off” and “On” is accomplished by adjusting the nut on the end of each arm to line up two marks. By virtue of design, the resulting dwell time is longer than the older style arms. Since the early 1980’s when hologram technology progressed to foil stamping machines, the use for holograms has become more and more wide spread. Today the hologram has a whole range of uses from security tags to packaging, book covers and advertising. The video here demonstrates registering a hologram as part of a seven pass colorful foil/hologram display card. Read on to learn more about Kluge’s hologram registration technology and capabilities.The Kluge Hologram Registration Unit is built onto the Electronic Foil Control System, Low Mount. It enables you to accurately register holograms using your Kluge press. Note: the hologram registration unit is not compatible with the mechanical foil control system. The Hologram Registration Unit utilizes fiber optic technology as the hologram registration mark detection system. 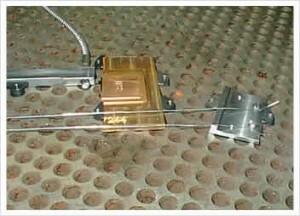 The fiber optic sensor is mounted to the toggle base in line with the edge of the foil. The sensor is connected to the signal pick up device, also known as the ‘amplifier’ which is then electronically adjusted until the registration mark can be seen. This innovative system allows you to digitally align hologram foil on the die with registration accuracy of +/- .012″. Two #30 gauge wire guides are positioned on the toggle base just below the die, one is placed under the foil and the other is placed over the foil. 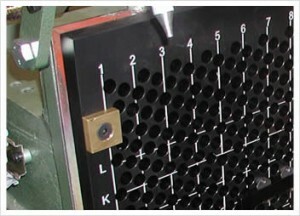 These wire guides effectively prevent the hologram foil from curling as it is fed through the machine (see photo).Easy access to the configuration and controls of the Hologram Registration Unit is made available from the touch screen control system.Kluge has developed a “User Guide to Hologram Stamping”. Click here to download your free copy and learn about everything from history, to foil types to the technology involved in producing quality holograms. 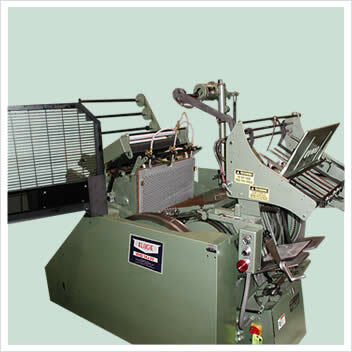 The Foil Rewinder automatically winds the used foil onto a roll at the rear of the machine after impression. 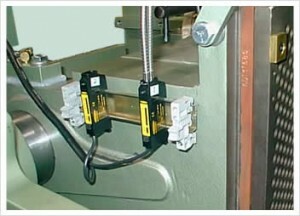 This makes for easy clean up and foil change when switching or completing jobs, facilitating increased production speed. Lightweight Grid-etched Toggle Base - Gridded construction for greater accuracy in the die make-ready and weighs only 14lbs. The lightweight grid-etched toggle base enables the operator to quickly and accurately align the die(s) on the toggle base during make-ready. The laser-etched grid is labelled numerically on the horizontal axis, and alphabetically on the vertical axis. 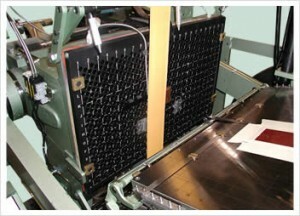 The grid is replicated on the platen. To facilitate make-ready further, press operators benefit from the light weight of this model. Weighing only 14lbs compared to the 40lb standard toggle base, less effort is required to mount the toggle base to the press. Download the lightweight toggle base flyer for additional information. *Delayed Delivery is now standard on new EHD presses allowing for sheet sizes greater than 14″. The optional Wide Magazine upgrade increases the maximum sheet width to 26.25″. Download product literature for the EHD Series Press.